The Landing Craft Vehicle Personnel (LCVP), or Higgins Boat, was the main type of landing craft used by the American military in the Second World War. On D-Day they were used extensively on both Omaha and Utah Beaches, being immortalised in the opening sequence of Saving Private Ryan showing the landings on D-Day. Designed by American inventor Andrew Higgins more than 20,000 were built during WW2. 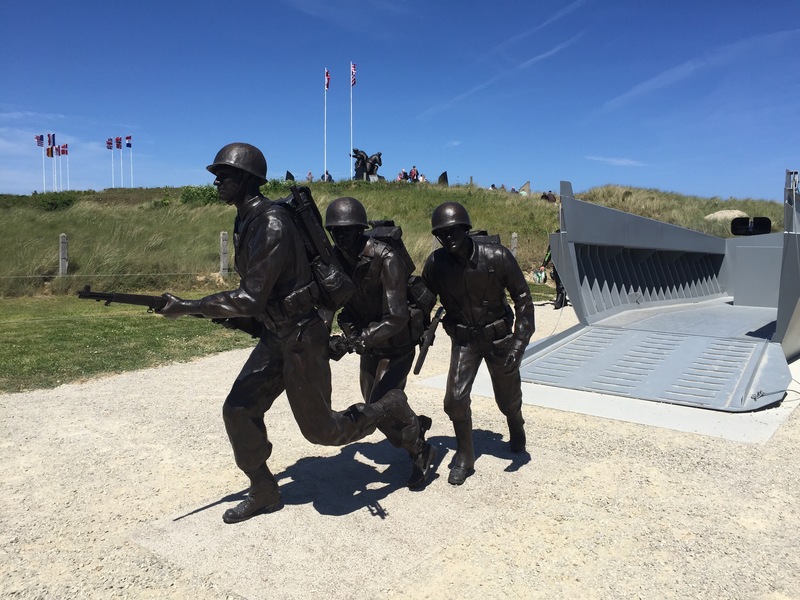 This new Higgins Boat Memorial is placed close to Utah Beach and just outside the superb Utah Beach Museum. 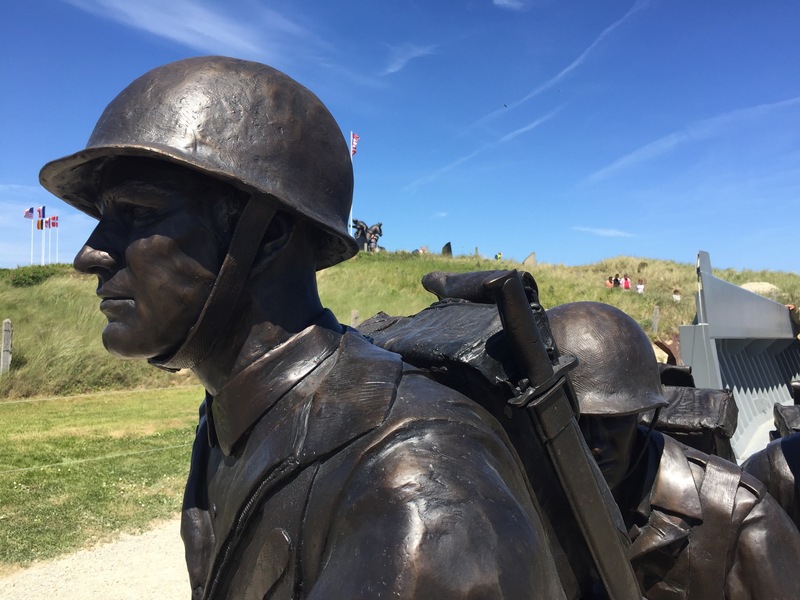 It depicts a life-size Higgins boat, which you can walk into, with ramp down and a bronze ‘stick’ of men on the sand, having exited the landing craft. It is an amazing piece of work and the bronze figures are really excellent.